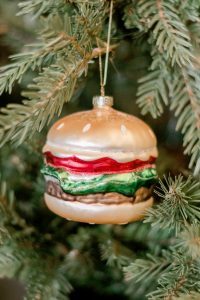 If you are in the market for a hamburger or a taco ornament, one Bossier City store has these and many others to fulfill your holiday decor dreams. 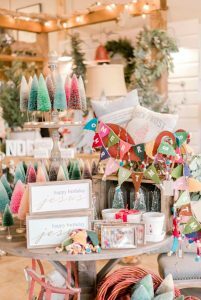 A walk through the doors of Rosewood Home Market and you may immediately want to grab a cart and fill it with home decor, holiday items and other gifts. 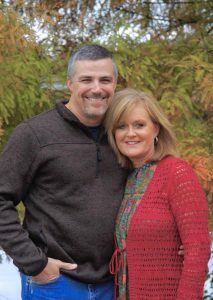 Though Rosewood has been a Bossier City business for three years, in late October, Susanne and her husband Mike Sewall took over Rosewood in hopes of saving the business from closing. Two weeks ago, prior to owning the store Susanne was a teacher at Waller Elementary School in Bossier City. The Sewalls also kept the same staff members. Susanne said the staff has been helpful in the transition. But this week the Rosewood team is preparing for Friday and Saturday. Susanne said they will have something special happening on Black Friday and Small Business Saturday but could not divulge the details. She recommended customers look out on their Facebook and also to sign up for their newsletter to keep up with sales, events and other information. But if you want to beat the crowds, be sure to make a stop at Rosewood now to find something special for yourself or anyone on your gift list. The store also hosts shopping events and participates in local markets. Susanne said events add to the customer’s shopping experience. She said events help draw in more customers from Shreveport who might not want to drive. Earlier this month, Rosewood hosted its first open house under the Sewall’s ownership and was a vendor at Les Boutique des Noel. Next month, look out for Rosewood’s booth at Christmas and Cocktails, a special event hosted by Birdwell’s. The event promises holiday fun and a unique shopping night. The market begins at 6 p.m. on Dec. 7 at 2151 Airline Drive. To keep up with new products and see more items that are trendy, visit the Rosewood Facebook Page. Also shop online here and when you are on the site, be sure to sign up for their newsletter to stay up to date on sales and special events.